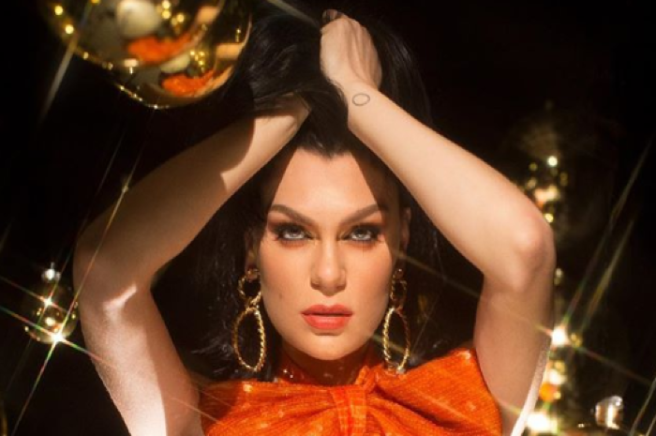 Jessie J has shown her vulnerable side to her millions of followers in a new Instagram video, which has currently racked up almost half a million views. She opens up about her struggles with anxiety and depression while encouraging the younger generation not to "hide their real feelings behind a perfected edited image." The British artist attempts to hold back tears as she plays the piano and sings, explaining that she's been feeling "kinda off", and wanted to express herself through music. "I didn't know I would cry. I was live for a minute or two before this moment," Jessie explains "But it's important to be open that we are not always done up and feeling 100." The 30-year-old is trying to set a good mental health example for younger and older generations, saying; "In a time and a world (especially the social world), sadly vulnerability is often seen as weakness." She captioned the post; "I’m not posting this for sympathy. Im posting this for anyone who needs to see it (I needed it). This video is from yesterday. I woke up, feeling kinda off. I sat at the piano (which I’ve been avoiding) knowing it will bring some stuff up." "I’m making it up and feeling my real feelings. I went live as I wanted to share with you guys the moment. I didn’t know I would cry. I was live for a minute or two before this moment. But it’s important to be open… All of us have our days. Yesterday was one of my weird emotional days." "The younger generation are almost being taught to hide their real feelings behind a perfected edited image. Hence why anxiety and depression in kids is through the roof and only carries to their adult life if it doesn’t change." "One of the biggest killers in men under 30 is suicide," she said, nothing the shocking statistics, especially for the male gender, who account for eight in 10 suicides in Ireland every year. "We push our feelings to the bottom of our energy and hope it goes away. It won’t. Don’t define yourself on it. But stand with it, process it and learn from it. Find YOUR happiness. No one can make you happy but you. People can contribute. But ultimate happiness comes from within. It’s a personal journey." She concluded; "I have said time and time again in recent years I don’t want to be a role model but I want to inspire. To anyone young or older. Let your sadness/pain/grief out. In your OWN way." "Another thing… TALK to people you love when you are down. Please do not suffer in silence. Life is way too short and ALWAYS GETS BETTER. I’m thinking of you and sending love to your heart," she said. The singer has been open in the past about her struggles with grief and sadness, especially after the recent death of her head bodyguard over the New Year. The video is hugely emotional, and we hope it inspires her fans, young and old, to allow themselves to be vulnerable. With the digital age, mental health statistics for young people are worse then ever. Jessie J really is one brave, talented gal. 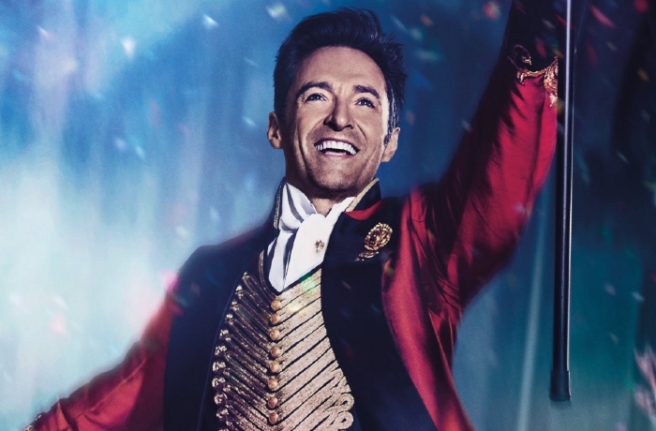 Hugh Jackman has proven why he's The Greatest Showman by making one little Irish girl's dream come true. Seven-year-old Emma from Lucan is a superfan of Hollywood star Hugh Jackman after seeing his latest film, and her mother thought of a genius plan to get his attention. After failing to nab tickets to see the star on his new tour, Jacqueline Cooney recorded her daughter singing A Million Dreams in the hopes of getting him to see it. Devoted mum Jacqueline appeared on Muireann O'Connell's lunchtime show on Today FM yesterday, and revealed her reasoning. "My daughter Emma is a huge fan of The Greatest Showman. She spent all Christmas singing the songs and Santa brought her a sing-along CD," she said. "We missed out on tickets to see the show in the 3Arena so I said I'd record her singing a little song for him from the movie and send it to him and see would he see it." The mother of three posted the video of Emma singing to Hugh, but it initially failed to get a response from the man himself, until fellow actor Liev Schreiber showed it to him. The mother of three posted the video of Emma singing to Hugh, but it initially failed to get a response from the man himself. "I said to myself that this is going to need something big . . . " Jacqueline said. It turned out that Ray Donovan star Schreiber, and one of Jackman’s childhood friend Gus Worland were the ones to get the Australian actor to watch Emma's tribute. "At first we were thinking of giving up but then four days later or so he saw it and he sent a special message that I know he wouldn't have just sent to anyone," she said. 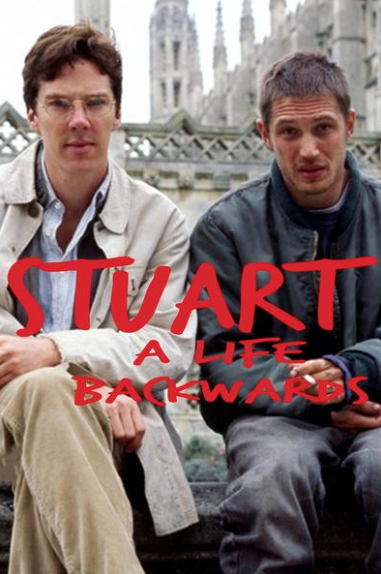 Trying to figure out how you saw it but either way, eternally grateful to @LievSchreiber and @GusWorland for their RT’s – thank you so, so, soooooo much! "I was pretty freaked out when I saw it yesterday afternoon," Jacqueline added. 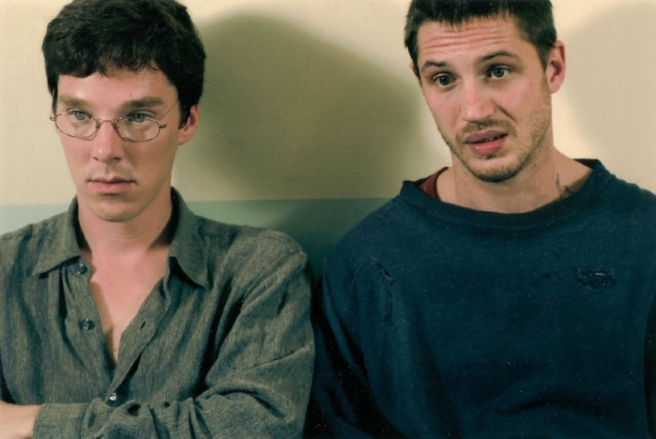 "I was looking at something else and then it came up, 'Hugh Jackman mentioned you on Twitter'". "I just want to say your little girl, thank you so much for singing that song. Thanks so much for being a fan. And never stop dreaming. Remember, life is what you choose to make it so make it fantastic!" Emma and her mum were over the moon after seeing it; "I was expecting maybe a text or something but a video and what he said was so lovely and so genuine," she continued. What a wonderful story, the actor truly is a gentleman. Congratulations to Emma, she certainly has a bright future of singing ahead of her with connections like these. An absolutely gas video has been posted online by @TaylorLorenz which sheds light on the environmental factors which influencers endure. Whether it's freezing cold weather, sunlight blazing in your eyes or just awkward angles, getting the perfect shot isn't as easy as it looks. They're working hard, to be fair; they've all gotta compete for the best image possible. Apparently 59th and 5th is some kind of blogger hotspot, an aesthetically pleasing location which influencers have now plagued. That reminds me, when is the new series of Black Mirror out? It is pretty reminiscent of THAT Bryce Dallas Howard episode, where everyone can rate each other and give points based on their image and personality, similar enough to Instagram. Whether you find the video disturbing, hilarious, mediocre or just plain creepy, it says a lot about how different today's social media world is. We are hugely entertained by the reaction tweets though… keep 'em coming. 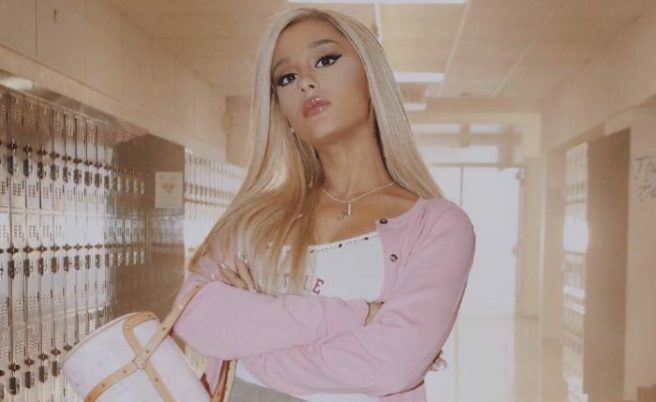 It might not have arrived yet, but already we can feel that Ariana Grande's Thank You, Next video is gonna be iconic. I mean, it's Mean Girls-themed – enough said tbh. And now she had dropped a teaser for the vid and Aaron Samuels steals the show. The 2004 classic teen movie is heavily parodies in the short clip, opening wth YouTube star Colleen Ballinger posing as a pregnant teenager. As well as all of that, there is even a a not-so-veiled ref to Ariana's engagement to Pete Davidson ending. 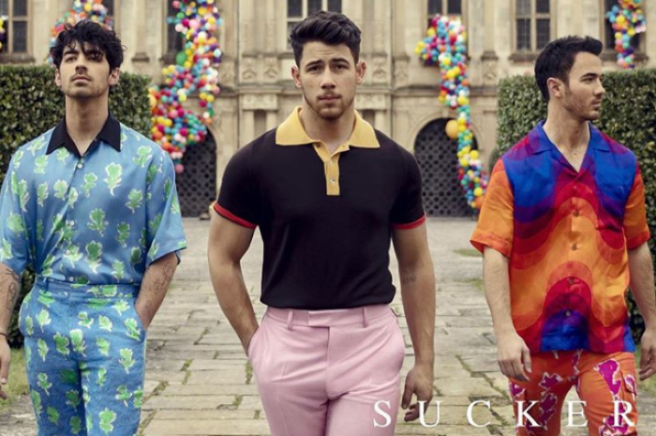 The 25-year-old has been teasing us on social media over the last few days, posting amazing pics from behind the scenes, dressed as Regina George and posing with the infamous Burn Book. And people are seriously excited about it. 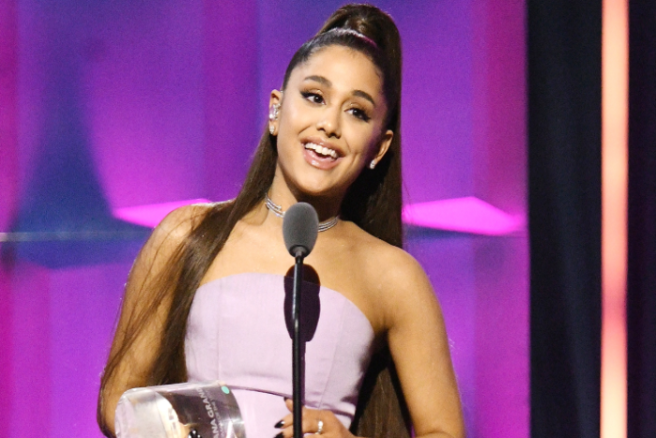 Thank U, Next is a massive hit for Ariana and looks set to hit its fourth consecutive week at number one in the UK singles chart. Salma Hayek might have just found herself a new hairdresser…her daughter Valentina. The gorge actor took to Instagram to post the cutest video of her only child giving her a new haircut in their family bathroom. The pair were celebrating Valentina's 11th birthday. The special event was caught on camera and shows Salma relaxing in a marble bath, draped in a white robe. Valentina looks like a pro as she snips away at her mum's hair to the sound of Build Me Up Buttercup by The Foundations playing in the background. Director Alfonso Cuarón’s 14-year-old daughter Tess Bu Cuarón, captured the video. Salma's 7.6 million followers were quick to comment their well wishes. Salma and French billionaire François-Henri Pinault have Valentia togther while Henri also has son François, 20, and daughter Mathilde, 17, with ex-wife Dorothée Lepère and as son Augustin “Augie” James Evangelista, 11, with model Linda Evangelista. Can we be part of this stunning fam, plz? If you've ever had to rock up to the Jackson Court Hotel in the cold light of day, mumbling something about a missing cloakroom ticket and a lost jacket, but bottle it at the last minute, you can take solace in the fact you're not alone. Swallowing down your shame in the midst of an epic hangover in order to retrieve a jacket you couldn't have cared less about the night before takes a serious shot of confidence… which is why so many of us refuse to do it. And the result? 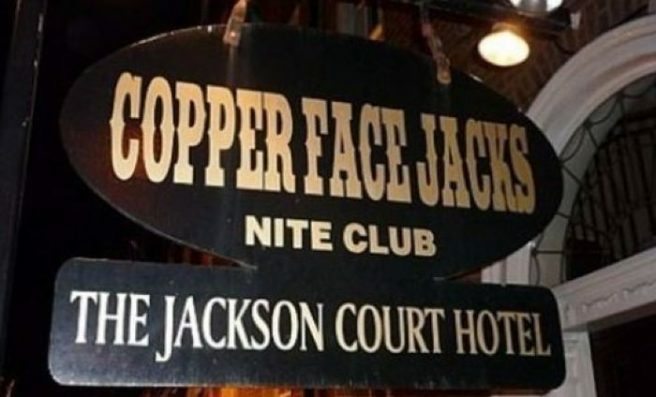 Well, Copper Face Jacks were more than willing to share it in a video posted on their Facebook last night. 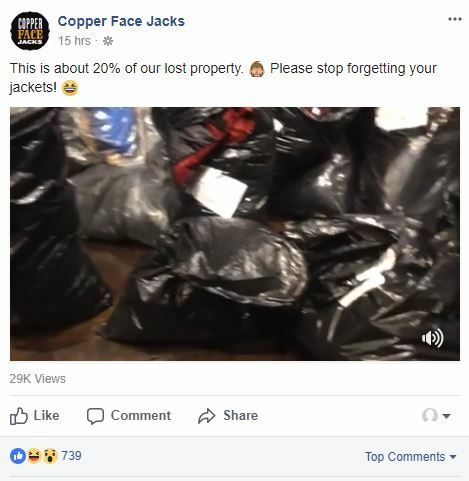 Featuring a mountain of binliners which the post insists only accounts for 20 per cent of their lost property, the good folk at Coppers understandably urged us to stop forgetting our damn jackets. Responding to the footage, many Facebook users encouraged the nightclub to donate their forgotten goods to the homeless – something CFJ confirmed they do after a period of six weeks. "If it helps the homeless then I say keep leaving them!" wrote one Facebook user. "I've lost/left behind many coats over the years and if I knew they were going to those in need I'd be way happier. Well done Coppers!" And well done us for forgetting our coat… every… single… time. There must be something in the water in Calabasas, because not one, not two, but three members of the Kardashian-Jenner clan are rumoured to be with child. Kim is the only sister to have confirmed her pregnancy – the mum-of-two is expecting via surrogate early next year. Kylie and Khloe are also rumoured to be incubating mini Kardashians, but neither of them have come forward to confirm or deny the gossip. 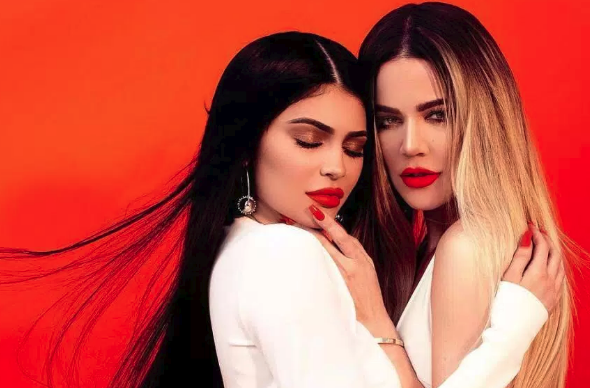 Kylie Jenner released a brand new YouTube video last night to showcase her new Koko Collection of lippies with her big sis. 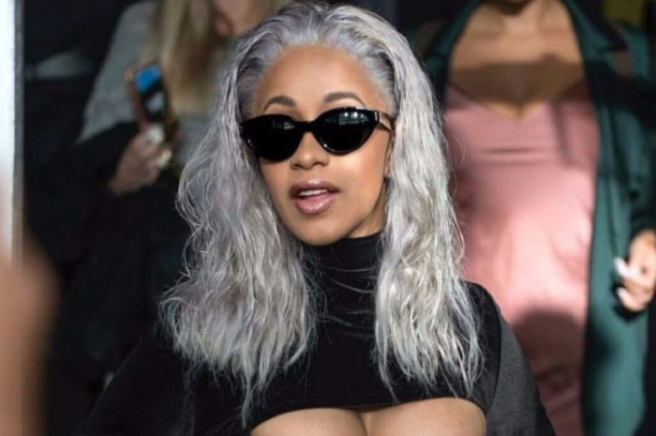 The pair made a pretty intriguing joke about babies during the video, leading fans to believe it was a reference to their alleged pregnancies. 'We created them. It's our baby together,' Khloe says of the kits. 'We have eight,' she says, referring to the shades. Khloé adds, 'Who knew? and the pair laugh and raise their perfectly shaped brows. The comments section of the video is rife with speculation about the joke. 'Kylie Jenner is supposedly pregnant and makes a new liquid lipstick called Baby girl hmm interesting…. ??' mulled one. 'All i care about now is are you pregnant or nah﻿,' said another. Conor McGregor is renowned for being proud of his roots, and he proved that in a recent Twitter post. Taking to the social media platform, the national treasure shared a peek at his new Beats by Dre advert, which showcases Dublin to the masses. 'Dublin, Ireland STAND UP! This one is for you! Dedicated,' he captioned the tweet. 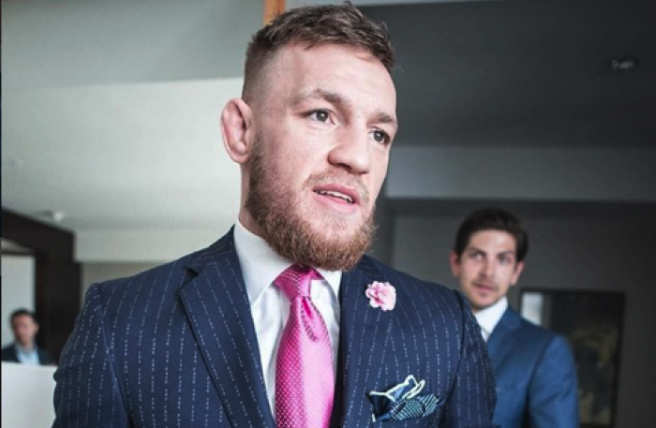 The video is a poignant portrayal of Conor's roots, and shows a group of young Dublin boys gearing up for a fight. The video, shot like a short film, shows the gang of Dubliners mirroring Conor's own beginnings, and flashes to the present to show Conor's current success. It demonstrates where perseverance can get you, as well as exhibiting residential Dublin.